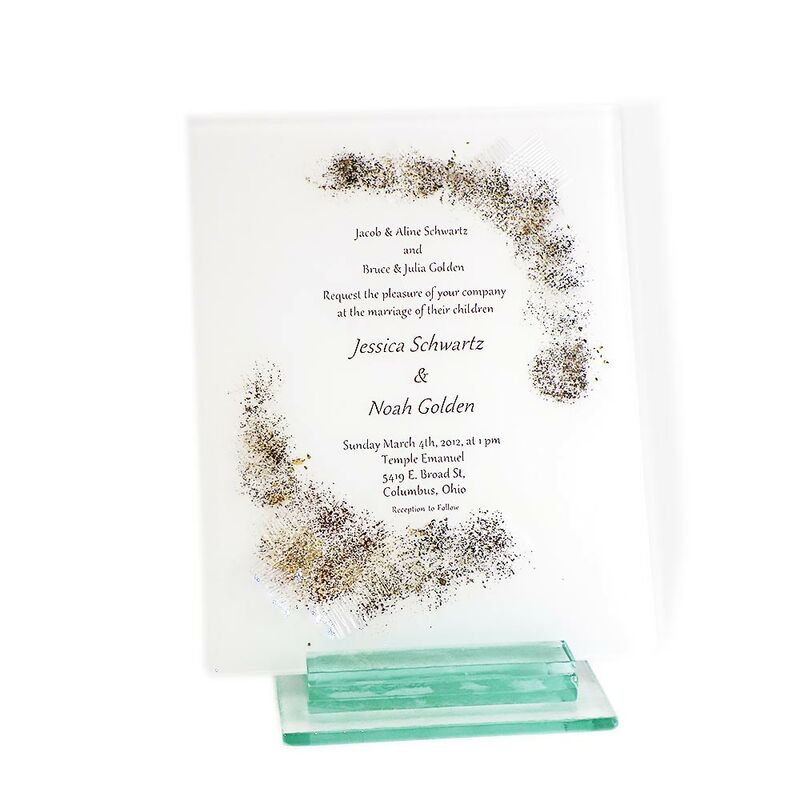 Sara Beames Has Designed This Beautiful Handcrafted Glass Invitation. 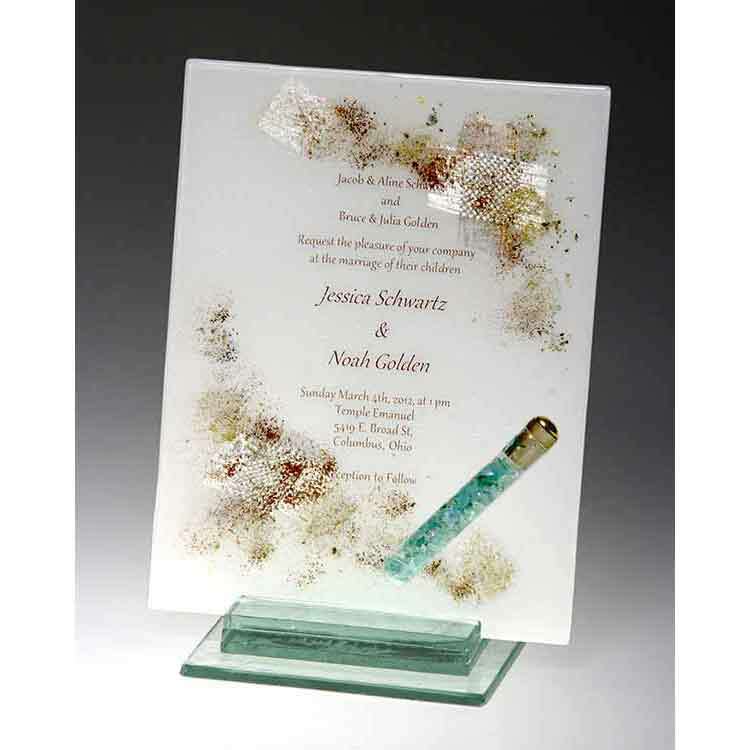 The Glass Invitation Is A Custom Made Piece, And Requires The Original Invitation To Be Mailed To Us So That The Artist May Reproduce It. Since This Is A Personalized Piece, It May Take Up To Three Weeks To Be Crafted. 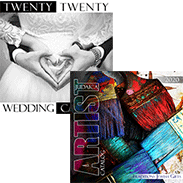 Artistic License May Be Taken To Work The Design Around The Invitation. 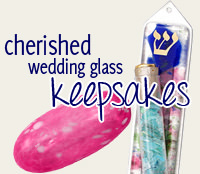 An Additional Tube To Hold The Wedding Glass Shards May Also Be Purchased To Accompany This Piece. *Please Note: Due To The Personalization Of This Item An Additional Shipping Fee Of $3.00 Will Be Added To The Standard Shipping Rate At Checkout. This Item Does Not Qualify For Any Free Shipping Promotion.